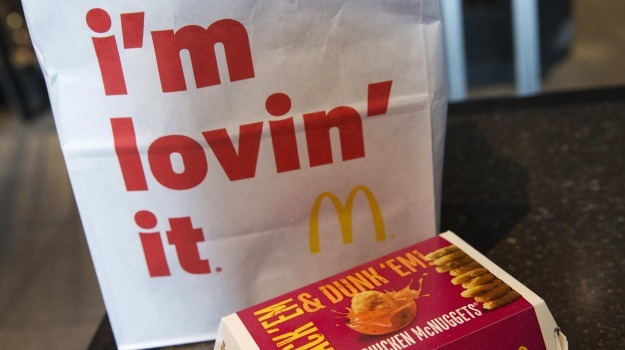 You can now have a little less regret while eating McDonald’s, according to VICE News. In a recent article, VICE went in depth about McDonald’s pledge to the environment. It is important to recognize that McDonald’s is one of the first major fast food chains—and one of the largest companies—to make such a commitment on its entire product line. Donate here to help save the planet and its inhabitants, specifically the narwhal—every dollar counts, so please help a worthy cause: Our climate (http://wwf.worldwildlife.org/goto/savethenarwhal). This entry was posted in Climate, Endangered, fast food, food, mcdonald's, Narwhals, wwf and tagged climate, Climate change, Endangered, fast food, food, Global Warming, Marine biology, mcdonald's, Narwhals, Ocean, Protection, Rehabilitation, Whales, WWF. Bookmark the permalink.